I'm going to miss the graffiti outing, but it's a topic I love to paint and document. 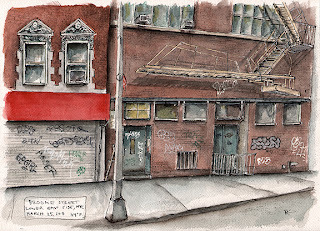 I often try to incorporate graffiti whenever I can in my NYC scenes since I feel it's so integral to it's history. 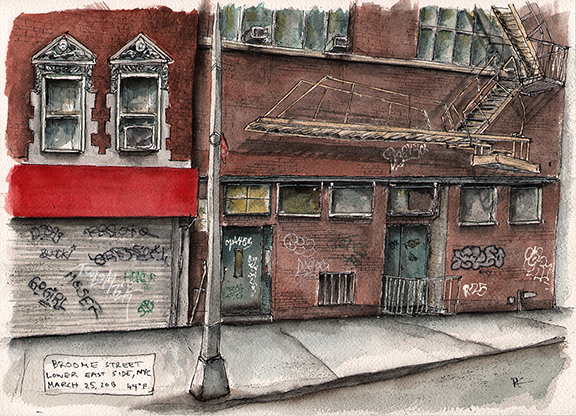 Here is one I did in March, on Broome Street. May 25th Sketch Date- Let's try it again!